Meet Depot! Depot may only be young but he has already experienced much in his short life. 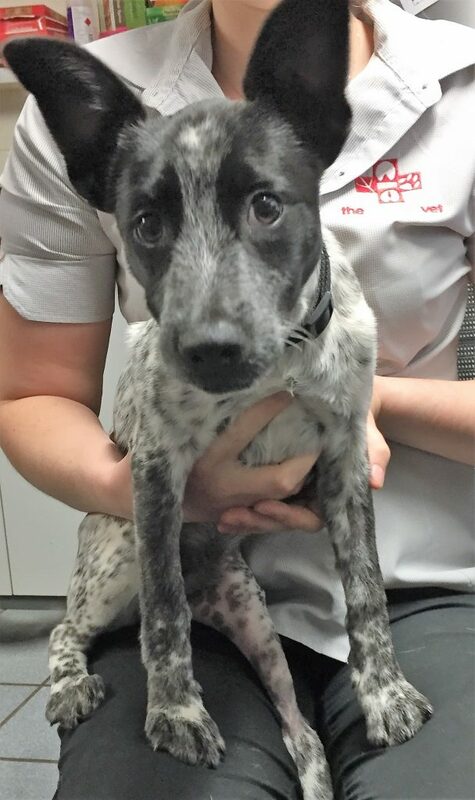 Originally a community dog, looked after by members of the Fitzroy community, Depot was bought to the Derby clinic last week after falling off the back of a ute. 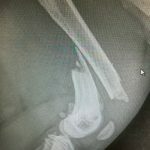 It was suspected that as a result of his fall Depot had sustained a fracture to the largest bone in his leg, his femur. 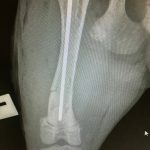 Depot was treated with pain relief and then brought back to the Broome clinic where x-rays of his leg confirmed he had indeed broken his leg. Due to the location of the break, the only option for depot was to undergo orthopaedic surgery to have his leg pinned back together. With help from SAFE, Depot was able to have the surgery performed and we successfully pinned the two displaced parts of his femur back together. Since the surgery, Depot has been doing fantastically and is now able to weight bear on his fractured leg. 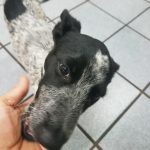 Given his young age, Depot has great healing potential and is expected to make a full recovery and enjoy a happy life with his new adopted family, whoever that may be! Depot has given everyone around the clinic much joy with his happy nature and we certainly hope he finds his forever home through SAFE soon. This lovely puppy serves as a useful reminder of the dangers of dogs riding on back of utes, particularly puppies like Depot who easily lose balance. Please remember inside vehicles is the safest method of transport for your furry family members.